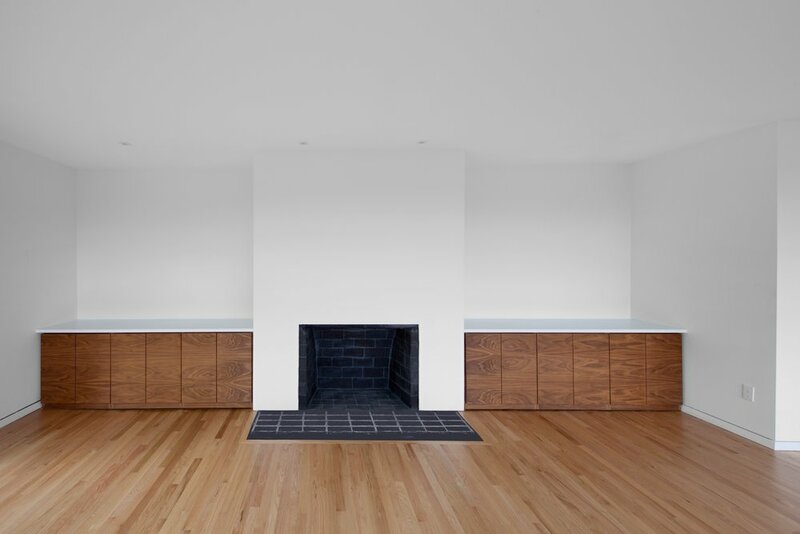 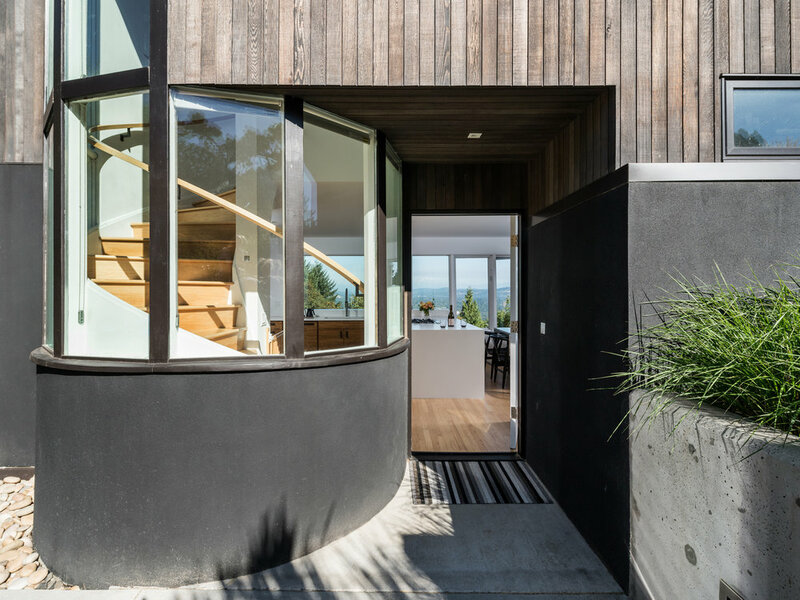 Originally designed in 1940 by Van Evera Bailey for Eldridge and Laura Sinclair, this small hillside home situated on Portland's Council Crest had been poorly remodeled over the years and had fallen into terrible disrepair. 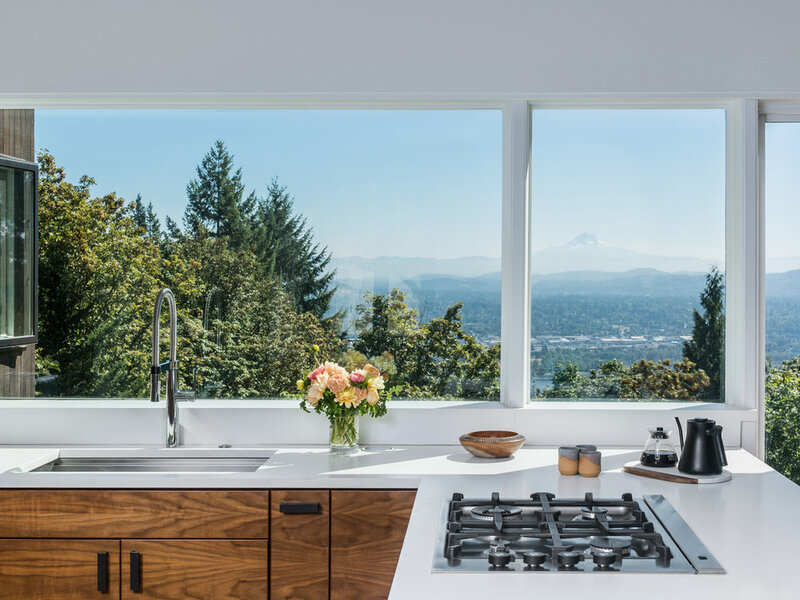 With commanding views of the Cascade Mountains as the starting point, the new design expands and reconfigures the house while strengthening the original architecture. 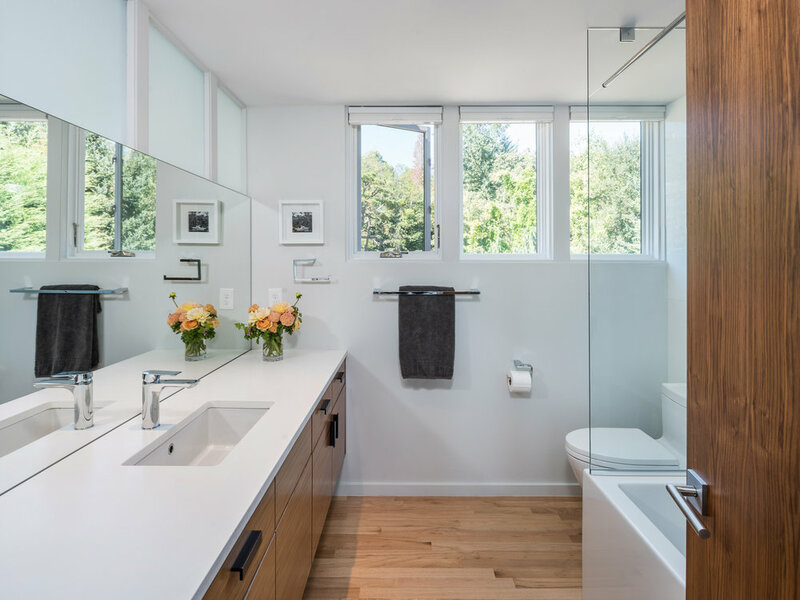 A new addition with two-car garage, two-bedrooms, and a bathroom replaces an existing garage. 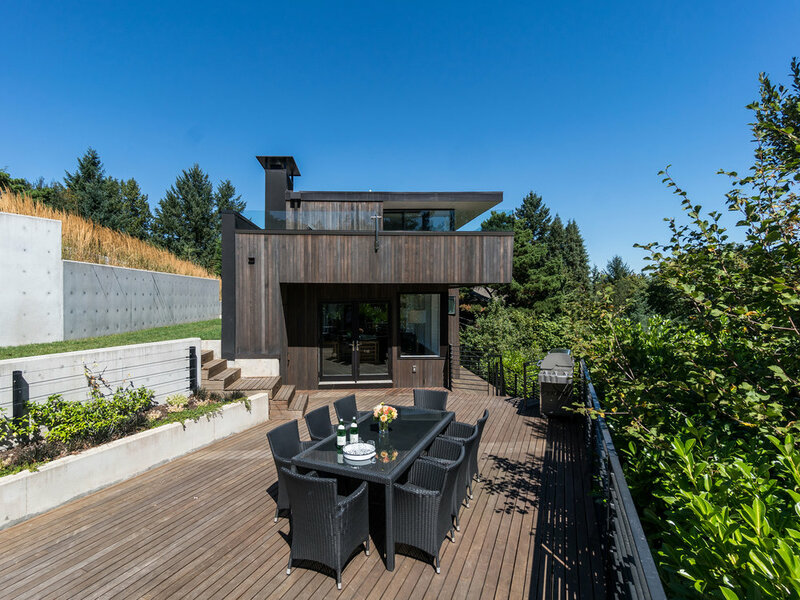 New stained cedar siding, clad wood windows, and integral color stucco breath new life into the exterior, while white oak floors, walnut cabinets and doors, and crisp white walls and countertops transform the interior.